There's no universally perfect time to train because it depends on a host of personal variables. 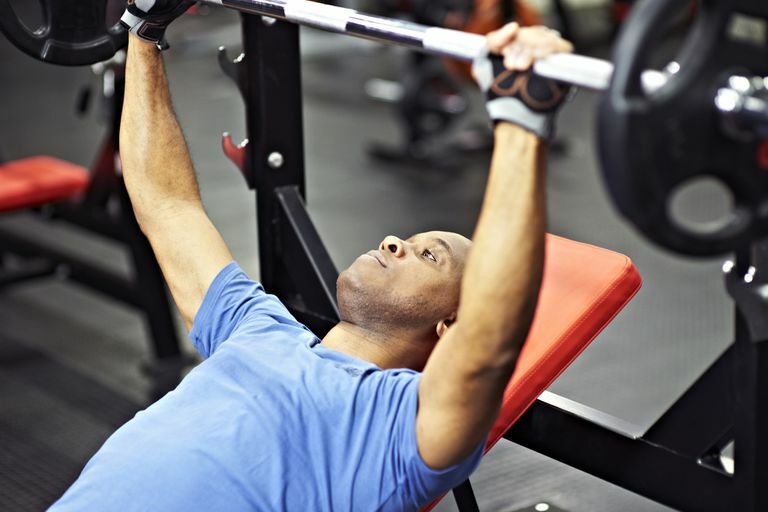 Even so, there are factors worth considering that may help you optimize your productivity for weight training, cardio, or anything in between. Apart from the time constraints in our daily lives, one primary consideration is how your "body clock" functions, and how this affects your hormones and other purposeful body chemicals over the spectrum of daily activities. Most of us have jobs to go from 9 to 5 and we work our training times around that schedule. Some people instinctively like to exercise in the morning, while others feel more comfortable exercising in the afternoon or evening. In this respect, weight training and bodybuilding are not very different from other strenuous activities, so much of this information can apply to any form of physical activity. You’ve probably heard the expression: “I’m a morning person,” or perhaps more often: “I’m not a morning person.” Even though it seems possible to train the body to operate efficiently in different daytime zones, many of us seem to have an instinctive comfort at a particular time of the day, and this seems related to the natural cycle of sleeping and waking that your body and brain control. This body clock is known as the circadian clock and is an actual group of cells in the brain that emits hormones and electrical impulses according to a timing that seems to be genetically set, that is, you’re born with it. The hormone melatonin is the principal hormone that regulates this body clock. Melatonin and the circadian cycle are affected by light and darkness. When Does Training Performance Peak? Now that you have some background, the question is: how does this affect your training? It seems that you can reset your body clock by manipulating waking and sleeping hours to a degree. This means that you can teach yourself to get up early and go to the gym or for a run if you need to and still do a great workout. It may take some time, however, to reset your body clock to this program if you are not used to being active early in the morning. Sports scientists say that exercise performance is closely related to body temperature, which peaks for most people in the early evening. You may be different. And even so, the response to exercise is cyclical during the day with the early afternoon a “down” time for many people. Further, the optimum time for exercise for you is not just determined by your body clock, but by the type of exercise, your age and health, environmental conditions such as light and heat, and social activities like meals and work patterns. If it’s cooler in the morning this may outweigh any extra bounce you extract in the warm early evening. In another study, athletes over 50 years of age tended to be “morning people,” regularly doing more and harder training in the morning when compared to young athletes. This may be because as people age they tend to rise earlier. This would tend to reset the body clock. Jet lag and menstruation may also affect your body clock. And researchers of circadian rhythms and exercise nominate certain times of the day when special care may be necessary. Early morning: increased risk of heart attack and stroke, and a greater risk of damage to the spine. Late in the day: increased risk of respiratory difficulties. These risks are probably not as great for fit, athletic people, but may be worth noting if you are undertaking a rehabilitation program or just starting out with exercise. Weight training in the evening may be superior for building muscle according to research on the hormones cortisol and testosterone in weight trainers. As it turns out, cortisol is usually highest in the early morning and lowest in the evening. Testosterone is also highest in the morning. However, what this study showed was that the ratio of testosterone to cortisol was highest in the evening because cortisol, the muscle breaking hormone, dropped more over the day than testosterone did, providing a more anabolic, muscle-building state in the evening. Another important consideration in choosing a training time is the normal time of your competition if you train for a competitive sport. If your competitive activity takes place in the morning, then you should train at that time often, and at the appropriate intensity, in order to get your body used to that activity at that hour of the day. Recreational exercisers have greater choice. Ultimately, you should go with whatever time you feel most comfortable with and can manage considering all factors. These include your natural body clock plus social, work, health, and environmental conditions as well as training and competing priorities. The AM often suits running, walking and cardio exercise, rather than heavy weight lifting. Make sure you warm up before doing anything strenuous, especially in the morning. Take it easy on the back for a few hours after rising. Don't hop out of bed and try for a deadlift personal best. Taking some food or a shake about 30 minutes before training can help power you through the sessions and avoid training in a catabolic environment, which won’t help your muscle maintenance or enhancement. Team sports and weight training may benefit from evening or PM workouts. However, this may not apply to everyone. Early evening gym sessions are popular with weight trainers. Training too late in the evening may not be ideal for nutritional recovery and sleep patterns. Some trainers find that doing cardio in the morning and weight training in the evening works well for them. Atkinson G, Reilly T. Circadian variation in sports performance. Sports Med. 1996 Apr;21(4):292-312. Review. Winget CM, DeRoshia CW, Holley DC. Circadian rhythms and athletic performance. Med Sci Sports Exerc. 1985 Oct;17(5):498-516. Review. Reilly T, Atkinson G, Gregson W, Drust B, Forsyth J, Edwards B, Waterhouse J. Some chronobiological considerations related to physical exercise. Clin Ter. 2006 May-Jun;157(3):249-64. Review. Reilly T, Atkinson G, Edwards B, Waterhouse J, Farrelly K, Fairhurst E. Diurnal variation in temperature, mental and physical performance, and tasks specifically related to football (soccer). Chronobiol Int. 2007;24(3):507-19. Bird SP, Tarpenning KM. Influence of circadian time structure on acute hormonal responses to a single bout of heavy-resistance exercise in weight-trained men. Chronobiol Int. 2004 Jan;21(1):131-46. Does Weight Training Actually Help Endurance Athletes?